If Dutch investigators couldn't decipher data from Russia, they could have asked for help, says military expert Aleksandr Tazekhulakhov. The problem here is that the Dutch have attempted to keep Russian representatives out of the MH17 probe, he adds. Dutch investigators reportedly said they can't read the radar images received from Russia in October as part of the investigation into the crash of flight MH17 in eastern Ukraine in 2014. A spokesman for the Dutch prosecutor’s office claimed the format of the data was not up to international standards and further information is needed to understand the images. “The Dutch prosecutor’s office requested information they needed for the investigations – and we gave it to them,” says Major General Aleksandr Tazekhulakhov, the former deputy head of the Russian Army Air Defense. “Just let me remind you how it all happened. In July 2014, a few days after the tragedy, Russia sent the Netherlands the necessary video data. Why? Objective monitoring procedures stipulate that radar screens must be recorded on photo and video. But the Dutch prosecutor’s office told us back then that that kind of data can be tampered with and requested for information in another format. There is no other internationally acknowledged and officially accepted format. Russia then gave the data taken directly from the radar station computer, and it cannot be falsified, changed or altered in any way,” he told RT. Now, Tazekhulakhov says, “all of a sudden we see that after we officially handed over the information in question,” investigators in the Netherlands say that they cannot read it. “This is either a matter of professional incompetence or a desire to prolong the process of the investigation as much as possible because we understand very well that involving more officials at various levels means more money,” he said. — RT (@RT_com) 28 сентября 2016 г. “However, here is another problem: the Netherlands is trying to do its best to keep representatives of the Russia Federation out of the investigation. I see only one reason for this – it’s yet another attempt to put the blame on Russia for something, though it’s not even clear what it is,” Tazekhulakhov said. 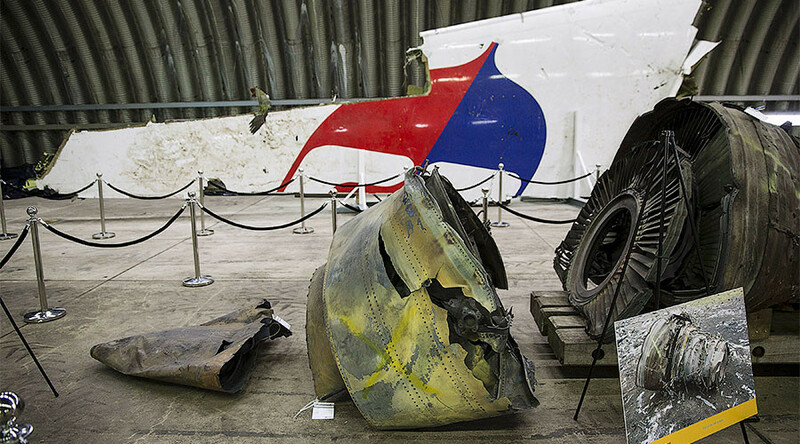 Dutch journalist Joost Niemoller, and author of MH17: the cover-up deal says it’s “suspicious” it took the investigators several months to realize they couldn’t decipher the data. They claim it’s in an “unusual” format, but, Niemoller says, this is something that could be seen at the very beginning – when one first attempts to open a file. “Why did it take so long? This makes me very suspicious. These radar images are, or the radar data now, are very important, because the Dutch authorities claim it was a Buk missile shot by the rebels, more or less together with Russians. But the only information, the only so-called proof they have is from Ukrainian secret services and some pictures on the internet,” he told RT.